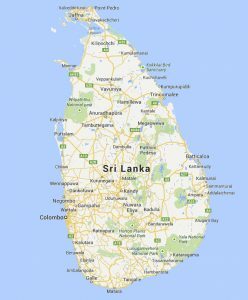 When I was offered the opportunity to travel to Sri Lanka (formerly Ceylon / Ceylon, officially the Democratic Socialist Republic of Sri Lanka), I did not hesitate to accept that proposal because I was always struck by that island in southeastern India, one of the privileged countries by the visit of the great Master Guatama Buddha and mainly Buddhist country. I am indebted to the Sri Lankan Ambassador to Cuba, his entire team, and C.C. Jayasinghe (Assistant Secretary -Buddhist Affairs- Ministry of Buddhasasana, on-behalf of the UNDV Organizing Committee). In addition to all the leaders and organizers of the event for having made possible this visit to a wonderful country and to participate in such an important event for all Buddhists. VESAK is the celebration of Buddha’s birth, life, enlightenment and death, which left us his blessing and compassion through his teachings that continue to this day and which brings together an immense number of practitioners of various lineages. This day is the most sacred for all Buddhists worldwide and is celebrated every full moon of the month of May. This year, 2561 of the Buddhist era, was held on 12, 13 and 14 in Colombo and Kandy, Sri Lanka, where the whole country dressed as a party. VESAK Festival in Sri Lanka, May 2017. The day before the event, the Honorable Chairman of the Council and Minister of Buddhasasana and Justice of Sri Lanka, Dr. Wijeyadasa Rajapakshe, delivered the welcome speech addressed to all the delegates at the Hilton Hotel, where they offered us a delicious dinner later, on the same day, which was decorated with very interesting ice sculptures. · Hon. Dr. Wijeyadasa Rajapakshe, the Minister of Buddha Sasana and Justice. A welcoming cultural activity was held with the traditional greetings of Drum Beaters and a wonderful Buddhist Symphony. After the cultural activity, the Honorable and esteemed Dignitaries, mentioned above, delivered their speeches of welcome and blessings to all participants. The event was attended by Venerable Religious Leaders of the Maha Sangha, Ministers representing different countries, political leaders, Delegates, Guests and accompanying persons. Participants and Invitees at BMICH. It was very emotional the participation of personalities like: Most Ven. Mahanayake Theras and Most Ven. Sangaraja Theras, as well as Honorable Masters and monks of different Buddhist lineages such as Theravadas, Mahayanas, Hinhayanas, Tibetans, Zen Buddhism, among others, all united by a common good, following Buddha’s teachings for world peace and Human improvement on earth, so much necessary at present. It was also very emotional for me, to be able to appreciate the Cuban flag in the large garden that surrounds the entire Bandaranaike Memorial, where flags of all countries wave and are decorated with hundreds of lotus flowers, flags and festival symbols. During the evening we were offered a delicious dinner at Waters Edge and then a visit to Diyawanna Zone, a large esplanade where there were various exhibitions of temples and traditions from different countries, very impressive, emotional and full of spirituality. Ø Opening Remarks by Hon. Dr. Wijeyadasa Rajapakshe-Minister of Buddha Sasana. Ø Questions and Answer Session open to the floor. In the evening we visited the emblematic theater Nelum Pokuna, where an allegorical work was presented to the life of Prince Shiddartha Gautama, with the participation of artists from different countries. After the staging, a delicious traditional dinner was offered in the gardens of the theater. On the third day of the event, a visit to the city of Kandy, located 200 km north-east of Colombo, was scheduled. The trip to Kandy was by train, giving us a warm and emotional welcome at the “Fort Railway Station”, the place was full of children, journalists, and officials, as well as security forces. During the train journey to Kandy, the whole village greeted the delegates at every step of the small villages along the way, their cheerful faces and warm greetings caused in me a great emotion and compassion. The exuberantly beautiful landscape adorned the whole journey. Already in Kandy, we were greeted at the Golden Crown Hotel with a deluxe lunch. Upon entering the hotel we received a gift of a Bodhi tree leaf (“Bo Tree” adorned with jasmine flowers, a scented towel in the shape of a cocoon in which an orchid and an exquisite juice of guanabana flourished. Afterwards, we went to the temple of Sri Dalada Maligawa, where we paid tribute to the Special Exhibition of the sacred relic of Buddha’s tooth, which is in the temple. It was a great privilege and honor to have been in such an important and emblematic place for all the faithful of Buddhism, where every year there are processions (Esala Perahera) to pay tribute to this venerated relic. Dignataries such as Ven. Members of the Maha Sangha, President and Ministers of Sri Lanka, Most Ven. Mahanayake Theras and Most Ven. Sangaraja Theras, Delegates, Guests and companions participated in the closing ceremony. His Excellency Bidhya Devi Bhandari, President of Nepal, delivered the closing address. The “Declaration of Mahanuwara” was presented by the Hon. Wijeyadasa Rajapakshe, Minister of Budhasasana and Justice, President of the National Organizing Committee. Buddhist Temples in Sri Lanka. The food in Sri Lanka is very spicy and varied, predominating rice, curry, vegetables and sauces. The curry contains chili, cinnamon, ginger, saffron and other spices so it is usually quite spicy. One of the typical dishes is the kottu that is accompanied with godamba roti, a fine typical bread of the place. The delicious sweets from Sri Lanka are usually made with local spices and the most commonly used sweeteners in their recipes are jaggery (sugarcane juice passed through a drying process) and kithul syrup (from a palm tree also called a Fish, by the form of its leaves). Among the variety of foods offered there were recipes from: Kaju Maluwa, Sambar, Uppma, Kedgeree, Sweets like Jam Bum, and Dishes like Horne Made Bakes Beans, Roasted New Potato, Mushroom Grilles, Pork Sausages, Chicken Sausages, Dhal Curry, Chicken Curry, Fish Curry White, among many others. Traditionally the food is served in banana leaves or lotus leaf. Speaking as Sri Lankans do, with such a fluency, denotes that they are intelligent people because it is a difficult and singular language that only people with great gifts can dominate. The writing seemed to me astonishingly beautiful and very picturesque, writing as if drawing clouds that pass, leaving a wake of joy and hope. 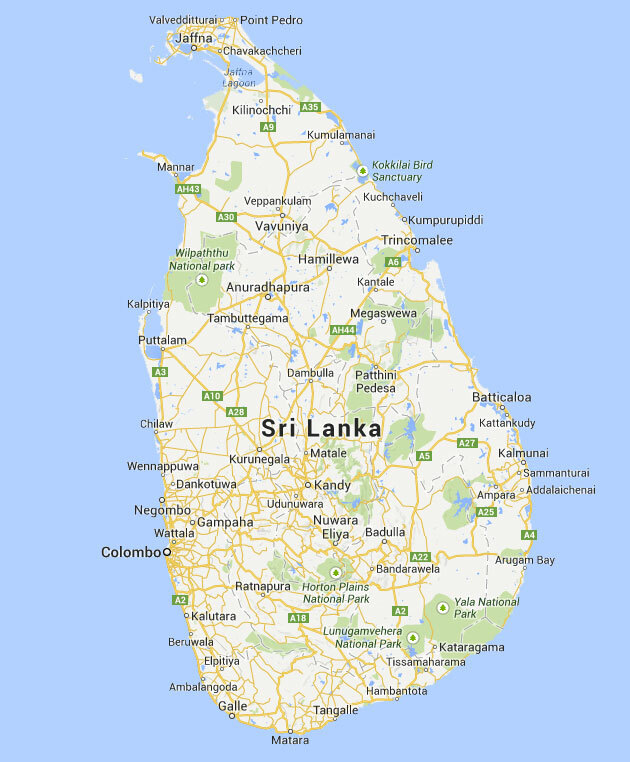 It is very curious and attractive to note that the Sri Lankans have the habit of tilting their heads while they speak. Is it because they carry in their inner being That compassion and unconditional love that they need to radiate by talking to you? Either way, that nation and that people will be forever in my heart. The VESAK celebration was perfectly organized in Sri Lanka, with luxuries of details, typical of a country where a large percentage of its population (70%) is Buddhist. All the delegates sent us via DHL, several stickers with the VESAK symbol, to put them in the suitcases and to be able to identify the delegates, delicate detail that denote the great organization that this festival has. We are grateful for the support of their leaders and state authorities who made this celebration so interesting, impressive, fine and harmonious. Seeing the whole city adorned with flowers, lamps, flags and VESAK symbols and having been able to have the honor and privilege of living everything that happened during those wonderful days was a truly unforgettable experience.